od 4 do 8 godz. 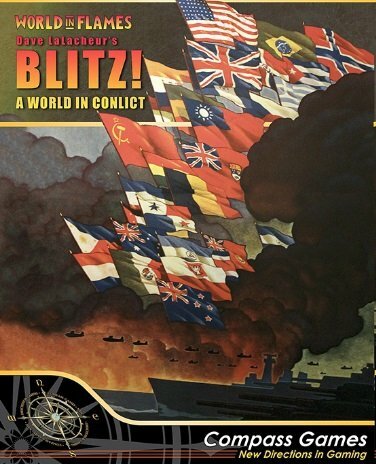 In each Blitz! turn, first the Axis and then the Allied players take turns performing activities. First you move out your naval and air units to sea, and resolve all sea area combats. It's possible for both sides to have units in the same sea area when a sea area combat is over. After moving your land and air units (except those at sea), you then launch your land area attacks. 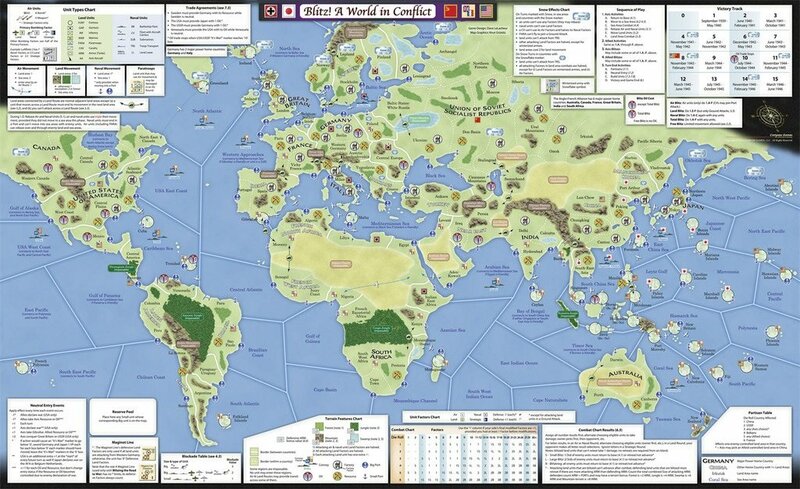 These include both ground attacks aimed at controlling a land area (unlike sea areas, only one side will control each land area when combat is over) as well as air attacks that bomb enemy ports and factories. Both sides may then perform an optional second round of activites exactly as before, but this time each major power needs to spend Oil in order to participate. 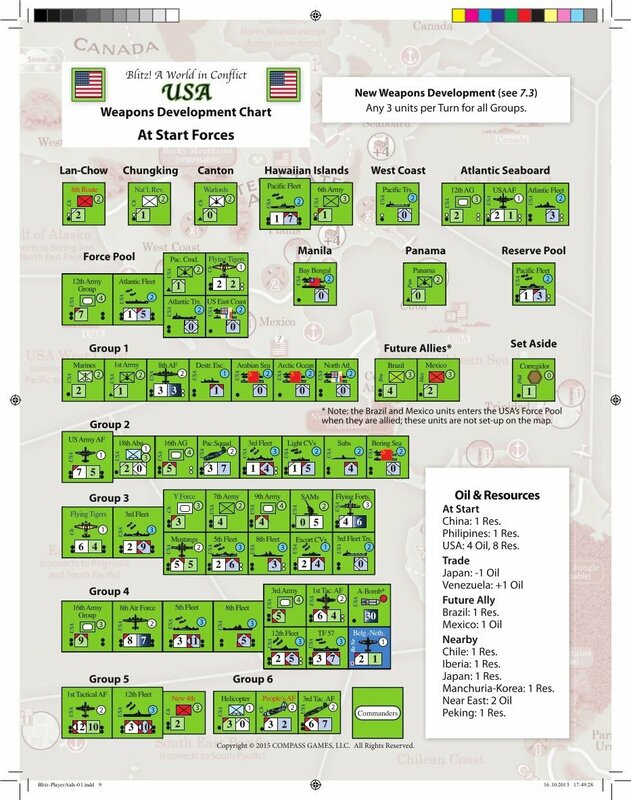 Lastly, players resolve turn end activities together, including neutral entry, building and repairing units, and awarding Victory Points. When one or more major power has 15 VPs, the game is over and the victorious player(s) are determined. The game is almost entirely driven by player choices. First you choose which units to research and develop (within reasonable historical limitations ~ your super high tech weapons can only be researched after pre-requisites are developed). 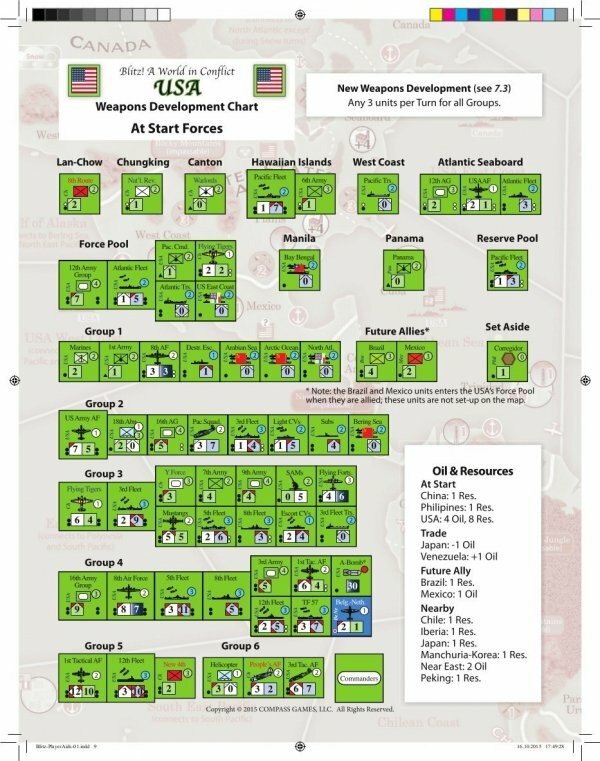 Then you'll select which of your major power's available army, air force, and naval formations to build and where to deploy them. 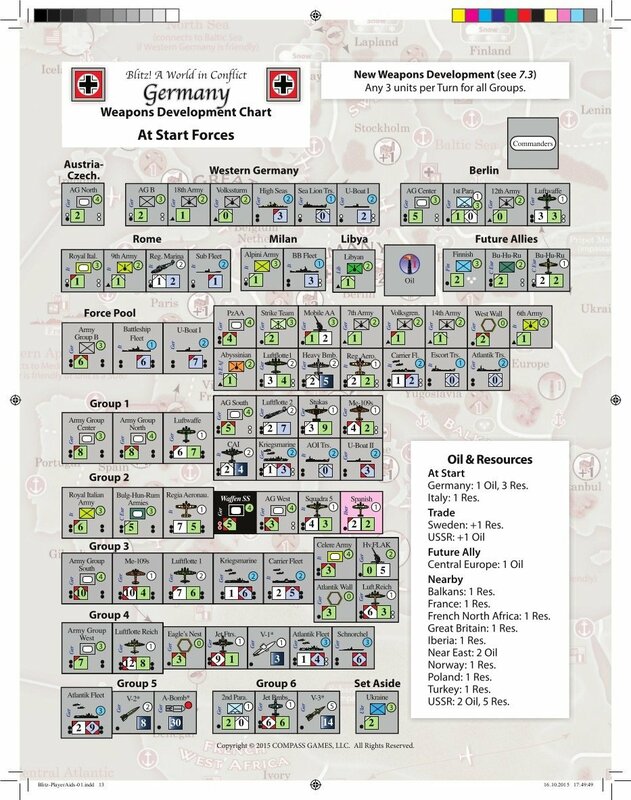 Should Germany first build up Army Group Center, the High Seas Fleet, or the Luftwaffe? Will Japan's Kwantung Army defend Manchuria against the USSR, join the Chinese Expeditionary Force to attack in China, or defend an overseas base? Attack in the air, at sea, and overland with any or all of your units every turn. Should you concentrate the Soviet Ukrainian and Byelorussian Front's tanks together to try to blitz an enemy strong point, or should you disperse them to attack along a wide front? Will the American 3rd and 5th Fleets raid Japanese shipping lanes, or will they support an invasion against the Marshall Islands? However, winning battles isn't enough. Each major power has unique goals it must pursue in order to win. Whoever aligns their field command decisions and economic policies and political objectives the best, will win the game. And since the victory and game length systems are intertwined, you never know for sure when the game will end, but you do know that it will always end with a clear victor. An optional rule allows you to revise some of the pre-war political decisions of the 1930s as well. 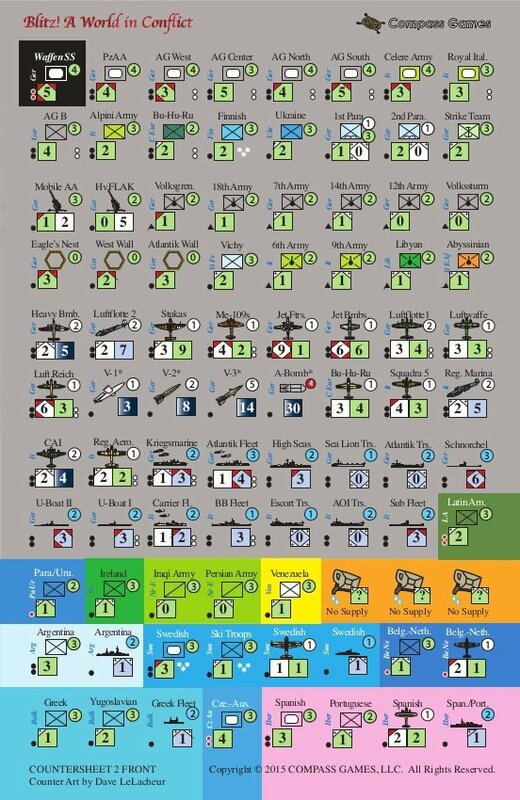 This combination of varying victory objectives and uncertain game length makes for an endless intermixing of strategies, and ultimately for a highly replayable game. 2.5 countersheets – mixture of 5/8” and 3/4"